The sloop Clearwater’s maiden voyage. Photo courtesy of the A Wallace Collection. 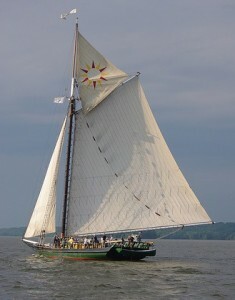 In 1966, folk music legend and environmental activist Pete Seeger, in despair over the pollution of his beloved Hudson River, announced plans to “build a boat to save the river.” Seeger, along with many other concerned individuals, believed that a majestic replica of the sloops that sailed the Hudson in the 18th and 19th centuries would bring people to the river where they could experience its beauty and be moved to preserve it. Seeger and friends played dockside concerts up and down the river, passing the banjo case for donations to raise funds to build the sloop. As an awareness of Seeger’s vision grew, so did the crowds. 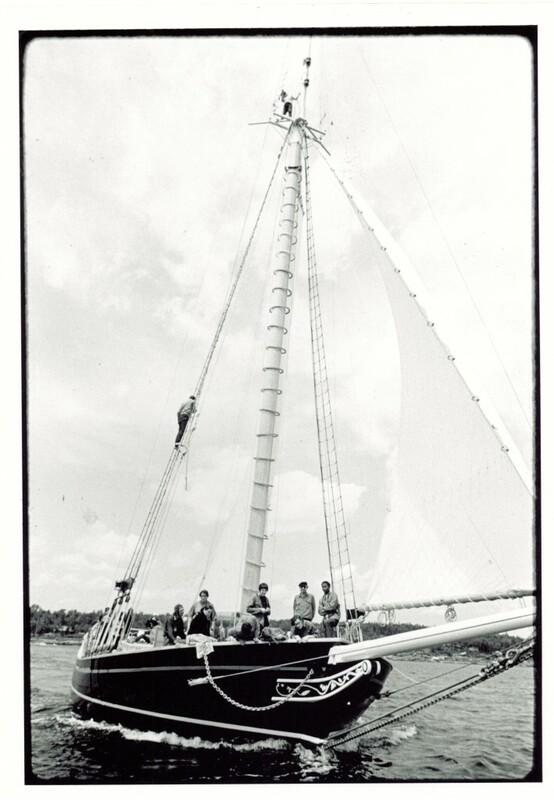 In 1969, the 106-foot sloop Clearwater was launched at Harvey Gamage shipyard in South Bristol, Maine. On her maiden voyage she sailed to South Street Seaport in New York City, and then ultimately made her home on the Hudson River. 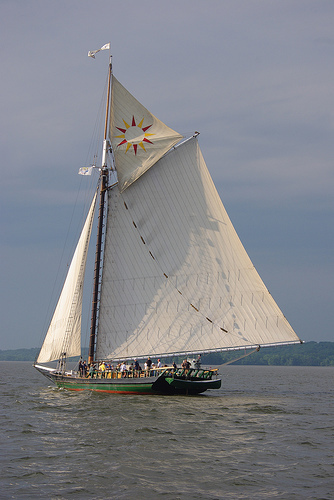 Clearwater created the blueprint for many other groups to follow; Clearwater was the first environmental group to focus on an entire river and its ecosystem, the first wooden sailing ship with a mission to preserve and protect the environment, and the first onboard environmental classroom accessible to children of all ages, races, backgrounds. Today there are several boats and organizations around the world doing environmental work and educating people using Clearwater’s hands-on method of teaching. It all started with a desire to clean up a troubled Hudson River and a vision for an iconic ship, and through song and determination, Clearwater has made a remarkable impact in the environmental movement. We invite you to come sail aboard the sloop Clearwater, where we inspire, educate and activate the next generation of environmental leaders! Please click here for more information about how to book a sail.